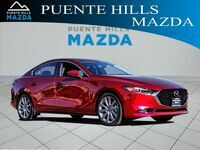 As you probably already know if you’re a returning Mazda customer, the Mazda3 comes available as a compact sedan and as a hatchback. This gives drivers more versatile options. If you need a little more space, the hatchback is there for you. Both models come with the same impressive performance and technology features, but how does this car compare to the competition? The Ford Focus also comes available as a sedan or a hatchback. 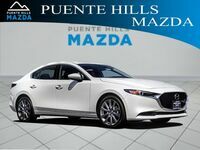 Its specs make it a formidable competitor of the Mazda3, and we thought this would make for a great matchup. We are here to help you in any way we can, so that is why we have done some research on both vehicles and now we are ready to share the results. See our table below. 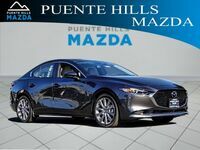 Whether you prefer the traditional sedan or the practical hatchback, your Mazda3 will come with great technological features that set it apart. In this comparison, the Ford Focus doesn’t even come standard with something as rudimentary as cruise control. Meanwhile, the Mazda3 comes available with adaptive cruise control. This is a modern marvel that allows you to set your following distance and it automatically maintains that distance by speeding up and slowing down. Of course, the renowned MAZDA CONNECT™ infotainment system comes standard so drivers can stay in touch with everything that matters to them. The SKYACTIV®-G 2.0-liter inline-four-cylinder engine packs a punch with 155 horsepower and it does so at a highly efficient rate, as you read above. Everything about the Mazda3 is remarkable. Its sleek design is enviable, and its interior comes with a host of comfort and tech features. 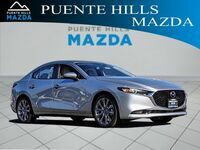 Come down to Puente Hills Mazda in Industry and check it out for yourself. We hope to see you soon!